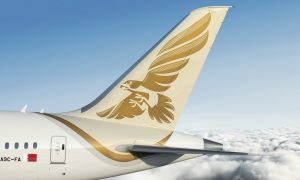 Etihad Airways, its airport services business and five of its equity partners have today successfully completed an innovative new platform financing transaction, raising $500 million on the international markets. Etihad Airways, Etihad Airport Services, airberlin, Air Serbia, Air Seychelles, Alitalia and Jet Airways have together taken a new step forward in their strategic business development through this unique fund-raising initiative. 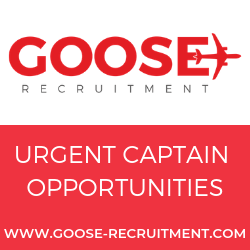 At a series of roadshow meetings, held in Abu Dhabi, Dubai and London, the shared vision and strategies of the airlines were laid out to financial institutions. These highlighted the growing network coordination and revenue development initiatives, coupled with joint procurement and business synergy projects, across the airlines. 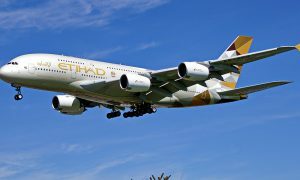 The transaction marks the first time that Etihad Airways and its partners have raised funds together. 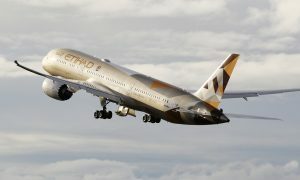 To date, Etihad Airways has already raised in excess of US$11 billion from more than 80 financial institutions, to help fund its expansion strategy. The funds have been raised through a special purpose vehicle, EA Partners IBV. Goldman Sachs International, ADS Securities and Anoa Capital are acting as joint lead book-running managers for the offering.